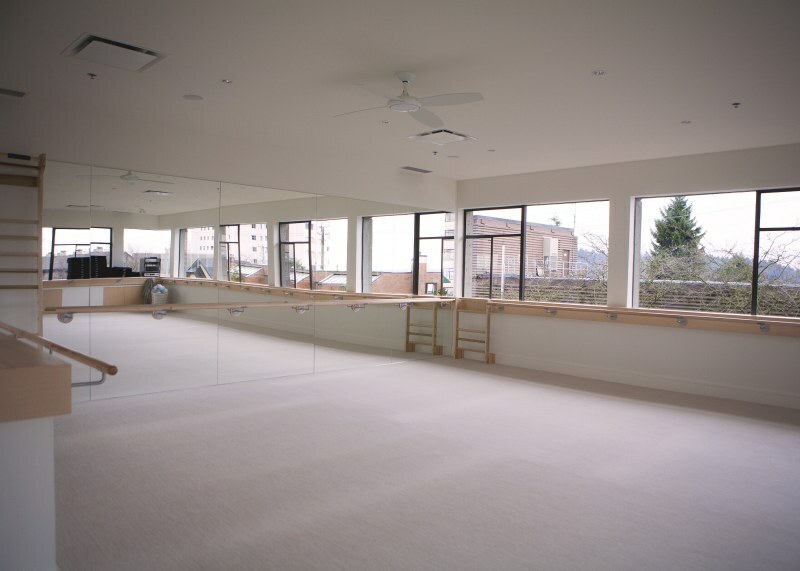 The Bar Method West Vancouver is a boutique fitness studio offering barre classes for students of all levels. The signature method uses your own body weight, the ballet barre and a few props to create a transformative workout that results in long, lean sculpted muscles. Not only does it reshape your entire body, but it allows you to channel your inner strength and leave class feeling strong, confident and poised. Highly-trained instructors customize the exercises to ensure they are safe and effective for any age and every body, including modifications for pregnant women and students with injuries. Our staff and community are here to support you from the moment you walk through the door. 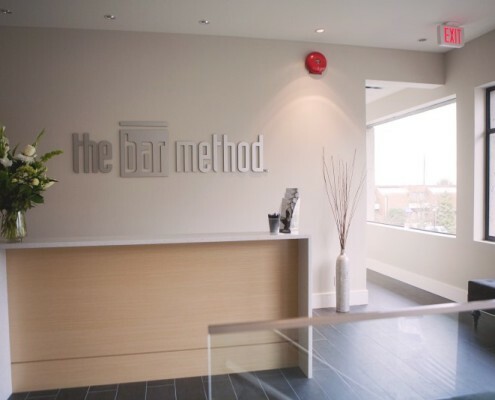 The Bar Method West Vancouver is conveniently located on the edge of Ambleside. 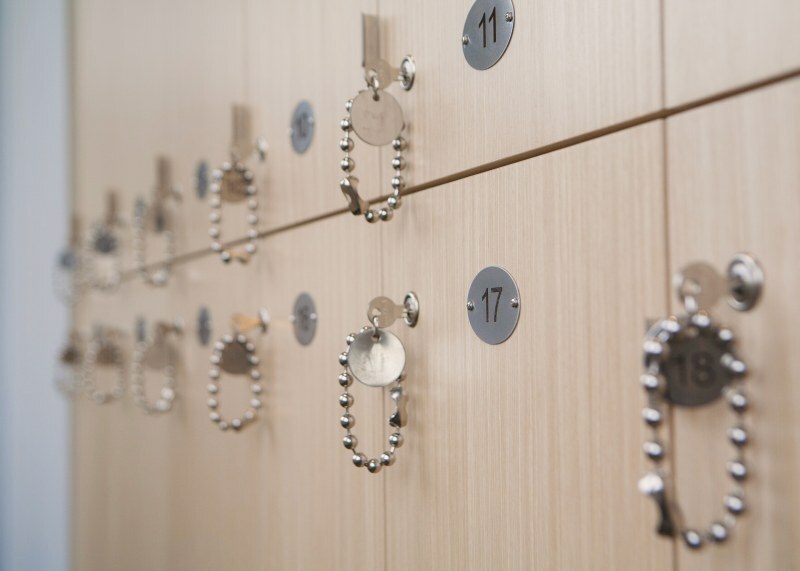 We have two spacious exercise studios with an abundance of natural light, spa-like locker rooms and an ocean view. We are open 7 days a week with classes throughout the day. Carolyn Williams has always enjoyed staying fit. When she was living in California she discovered The Bar Method and fell in love with the exercise program. She missed it so much after her move to Vancouver that she decided to bring the workout program to the city and opened her first studio in October 2010. Carolyn wanted to share this phenomenal form of exercise, not only because it is an incredible workout, but also because it is one that helps to build body confidence and total body awareness. Carolyn is motivated by the idea of community! While walk-ins are welcome, class sizes are limited and can be sold out. We highly recommend reserving classes online or via The Bar Method app in order to guarantee your spot in class. Reservations are studio specific and can be made up to 7 days in advance. Classes fill up quickly, but spaces will open up as clients reschedule. If the class time that you would like to attend is fully booked you will have the option to put yourself on a waitlist. As soon as a spot opens up in class you will be notified via email and/or text message no later than one hour before the class is scheduled to begin. Being moved from the waitlist into class means you are in the class and regular cancellation policy applies; you are responsible for confirming or cancelling your spot once you have received this notification. BE ADVISED: If you are already scheduled in a class you will NOT be moved into a second class from a waitlist on the same day. Book for your preferred class first. If you need to cancel or reschedule a class you can do so using online booking, your mobile app, or you can call or email the studio. We encourage you to cancel your spot in class or on a waitlist as far in advance as possible in order to give fellow Bar Method attendees adequate notice to make it to class from a waitlist position. Failing to attend or cancel a scheduled class within the designated cancellation windows will result in a $15 “Late Cancel” charge. MORNING CANCELLATION POLICY: The 5:45 am, 6 am, 7 am, 7:15 am, 7:30 am & 8:15 am class times require a 10 Hour Cancellation Notice. WEEKEND CANCELLATION POLICY: All Saturday & Sunday class times require a 4 Hour Cancellation Notice. HOLIDAY CANCELLATION POLICY: Classes scheduled on holiday days require a 10 Hour Cancellation Notice. Please note, the next holidays are Good Friday, April 14th and Easter Monday, April 17th, 2017. Late Cancel / No Show Policy: If you do not show up for your class or if you cancel less than 1 hour before class, it will result in the deduction of 1 class from your class package or a $15 charge to your credit card if you are on an unlimited monthly package. First time students to the studio must be at least 15 minutes early for their very first class. WITHOUT EXCEPTION, if you are not at least 15 minutes early, you will not be allowed to attend class for safety reasons. First time students include visiting Bar Method members from another city. Returning students may enter “Mixed Level”, “Express”, Level 1″ and “Level 2” up to, but not after, 10 minutes into class. Returning students may enter “Move” up to, but not after, 5 minutes into class. Please wear exercise pants that cover the knees , a top that covers the midriff, and socks that cover the entire foot. Men, if your shorts don’t reach your knees be sure to layer with a compression tight. Please do not bring glass or uncapped drinks into the exercise studios. Only clear liquids in a capped water bottle are allowed and encouraged. We provide towels without charge. Hand towels are available to bring into class, and bath towels are available in the shower area. Please leave your towel in the hamper on your way out. Please refrain from wearing strong fragrances & lotions to class. Some clients are allergic and may experience nausea and migraines when exposed. The Bar Method allows pregnant clients to continue taking class. We have adopted several modifications that allow the exercises to be performed comfortably throughout the pregnancy. Clients may participate with doctor’s permission (Please provide Doctor’s note). Pregnant clients may take the first half of class for half price (focus is on arms and legs). Please inform your teacher you are pregnant so appropriate modifications may be given. It’s important to register for childcare early to get your child a spot; they fill up quickly! 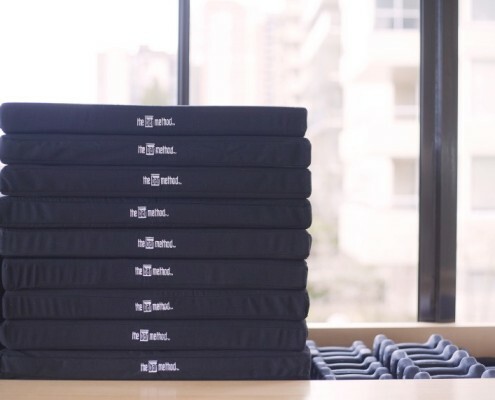 Once you have a Bar Method West Vancouver online profile, you can get started. On our RESERVATION SYSTEM click on the CLASSES tab at the top of your screen and go to CLASS SCHEDULE in the pull down menu. In the top right corner, log on to the secured area. Add your email and password. When logged in, select class you would like to take, make sure it’s a class that offers childcare. If unsure please call Bar Method West Vancouver at 604.925.6199. Click on the SIGN UP NOW button in the class schedule. Make reservation for MYSELF. While logged in to your Bar Method account, click on MY INFO. Go to FAMILY MEMBERS Click on ADD FAMILY MEMBER. Fill out the blank spaces, add your child’s name, the relationship to you, who is paying for this child (you, probably), a valid mobile phone number, the gender and birthday of your child. SAVE! Don’t worry; you only have to do this part once! You should see your child(ren) under FAMILY MEMBER section now. Select the class you just signed up for, is your child a toddler or infant? Infant is under 12 months old, Toddler is over 12 months old. Click on SIGN UP NOW. This will then take you to a Shopping Cart screen. Click the red CHECKOUT Then click PLACE ORDER. You will be taken to a confirmation screen. If that’s all, go up to the top right corner and LOGOUT. If you need to add another child to Childcare, Click the CHILDCARE tab again. Click on the class you want to book and go through the steps 1-5 noted above. If you need to cancel, please call the studio at 604.925.6199. You MUST cancel at least 1 hour before the class to avoid charges. Also, as there are limited spots in childcare, please make sure to call and cancel if you cannot make it to allow other mothers to join the class. Members are welcome to use The Hollyburn Plaza Parking as we are part of the Plaza, as long as you are attending class or frequenting a business in the Plaza. The Parkade is very highly monitored and you risk a ticket even if you leave the complex to “go grab a coffee”. A maximum of 3 times per calendar year. Each suspension request must be between a minimum of 10 days and a maximum of 30 days per suspension. All suspensions require a suspension form and a confirmation suspension receipt to be sent to you. There are no retroactive suspensions. Complete the ONLINE SUSPENSION FORM . EMAIL or CALL (604.925.6199) the front desk to notify them of your submission. Suspensions should not be considered complete until you have received a suspension receipt. All Bar Method classes and packages cannot be refunded, returned, exchanged or transferred. Please make note of service expiration dates- if you purchased a class pack or series, please note the expiration date. Returns/exchanges may be made on retail product within 14 days of original transaction, provided they are unworn and in original condition, with all tags attached.